The Wii U will not likely go down as a high point in Nintendo’s long history with games, the console failed to draw in the masses that came out to buy the Wii and ultimately ended on a rather embarrassing note given the company’s history of success. Still, there’s good to be found in any bad situation, and one positive of the Wii U was that it gave certain indie developers a spotlight that they otherwise would’ve never received in an ecosystem more heavily populated with games. 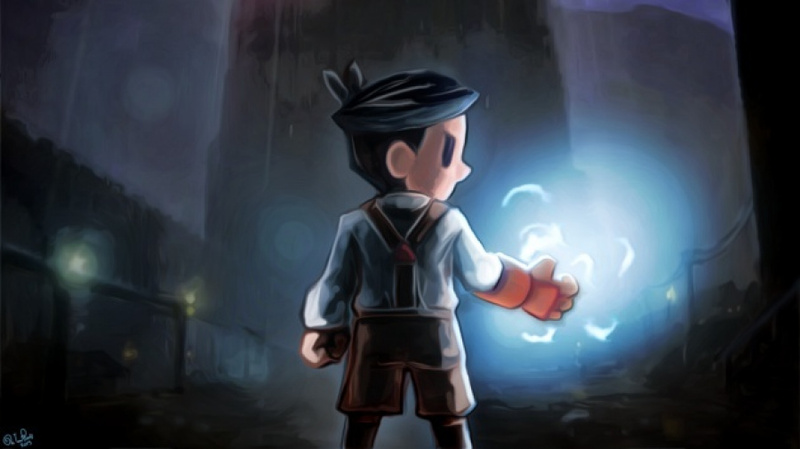 One such developer is Rain Games, which released its steampunk platformer, Teslagrad, on the eShop in 2014. There was not many titles released for [the Wii U], comparatively. Indie titles actually got a good visibility on the platform. That wouldn’t have been the case on any other platform. For a couple weeks, Teslagrad sat at the top of the Wii U’s charts, giving the game a kind of visibility that it wouldn’t have achieved elsewhere. And now, it could certainly be argued that the game’s sort-of sequel—World to the West—has benefitted from that increased consumer perception. What do you think? 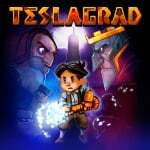 Did you play Teslagrad on the Wii U? Will you be getting World to the West? Drop us a comment in the section below. Better they start to create new games for Switch. So much good Switch news these day the Wii U was feeling left out. You're welcome. Haven't played it yet though, still sitting in my extensive Wii U backlog. I bought it, haven't played it yet. Still playing other great indie titles on my Wii U. Also have Darksiders Warmasterd edition to pick up for my Wii U. My Switch will have to wait until I've finished with its unloved, forever picked on and often ridiculed sibling. I love my Wii U. It sit perfectly at home between my GameCube and Dreamcast(which are all hooked up still). Teslagrad was an exceptionally good game. I truly enjoyed it a lot. There wasn't many games on the Wii U eShop that, in my opinion, was very good or similar in quality like that game. I hope Rain supports the Switch as well. I'm happy for their success but I sadly passed on this one. I desperately wanted to play it but held out for the promised physical edition which never happened in the US and with my Wii U storage pretty much tapped out, I only collect physical titles now. Hell, if they still did a Wii U physical of this and their new title, I'd happily buy as the system is still my primary console at the moment. Unfortunately, I know this is never gonna happen. Hopefully we'll eventually get a Teslagrad/World to the West double pack cartridge release for the Switch. That would be a day 1 purchase for me. I bought the game on Wii U, would've bought the physical release for the U had it come here. Never played it. Always wanted too. Looks great. Maybe if there's a Switch vers. soon I would jump on board. Loved it on Wii U. I'd buy it on Switch too. Because it was overpriced, I guess? Anyway, I waited for the discount and I like the game. But not finished yet. I bought it instantly as it was an Indie game with a physical release. That aside it was also a really good game. I bought the physical version of this game. This game should be right up my street, puzzles, atmosphere and great aesthetics. But for some reason I just couldn't get into it, I felt like I was just wandering aimlessly around with red and blue lights to navigate. I might have to give it another go, I'm sure I was missing something. I never quite got my head around the puzzle mechanic. That's because us Nintendo fans have good taste. I bought it both physically and digitally for Wii U. It sold over 1.6 million copies (all platforms combined) as of March last year. Seems like a safe bet it was pretty profitable. @A01 That depends on how much the game sold for and a host of other factors, but that's still a pretty amount of games sold. Funny how when you actually put the same amount of effort into the Nintendo port as the other versions, it sells just as well or better. If only more companies would follow their lead. I bought it, enjoyed playing it, but got stuck and just stopped playing it. For what it's worth - it was good. But it just wasn't clear on what I needed to do to progress. I was playing it, then got to a part where it was dark and at the time it felt like too much hassle having to play in the dark, so I put the game down and haven't gone back to it yet. I was drawn to the art style of the game originally, and my interest was piqued by the magnetic mechanics, but I didn't get on with it well enough to recommend. It's kinda crazy they bring World to the West to Wii U without porting it over to Switch too. I completed Teslagrad and liked it enough to check out this new Rain game. @gcunit @ULTRA-64 Kind of the same here. Got the physical version, reached what I assume to be the end of the game: a door that can't be opened if you didn't collect all the scrolls along the way. I noped pretty fast after that. Nevertheless I'm interested in World to the West and I hope it's another success for Rain Games. Not trying to sound cynical, but compared to the much larger amount of multi-platform indie titles gracing the PC, Playstation and Xbox, it's no wonder that the relative small number of Wii U users picked up this game as one of the very few titles available. Me included. Nintendo really needs to start helping out indie devs more actively to port their games to the Switch. The devs of Stardew Valley and Hollow Knight are basically working alone. Why can't Nintendo send over one of their expert devs to help speed up development? I can easily think of 20 indie titles that I would love to play on the Switch instead of on the PC or would even buy again if re-released on the Switch. Yay! So happy to have contributed to this one. Really solid game and fantastic art direction and animation. I purchased Teslagrad on Wii U and on Vita. I'm definitely interested in a sequel on Switch. I bought the physical version of Teslagrad for Wii U and enjoyed it more than I thought I would. One of the hardest games for Wii U. Will definitely buy World to the West. Would have loved a physical release for that one too. This is not shocking at all. The other two platforms are usually played by dude bro call of duty jackass. With no education. Has World to the West been announced for Wii U or Switch? I want to buy it since Teslagrad was so good. And of course I bought Teslagrad on Wii U instead of PC! I bought it on Wii U and finished it several times. I absolutely love it and so does my son. It's one of my favorite Metroidvania games ever. I don't find this shocking at all. This exact reason is why I don't understand why every indie developer out there isn't bringing their games to Switch. Indie titles made more money on Nintendo and PC cause Xbox/PS gamers care more about triple A games. If it isn't a AAA open world or shooters then is NOT a game for them which is ridiculous. Still love my wiiU, every month without fail I would pick up eShop credit and get games for my 3DS and wiiU and on the whole there was some cracking indie games on there. I was one of those that picked up this game... On the back of buying Runbow because he was my favourite character. I have very little regrets on my eShop purchases and this was definitely not one of them. No. I'm playing Xenoblade Chronicles on my Wii U right now. One of my favourite games on the system and probably my favourite indie game. Only complaint i had was it was too short for how wonderful it was. Great and unique mechanics, excellent puzzles, fair but challenging secrets, awesome bosses, amazing story telling, and some of the most outstanding graphics/art in any game i've ever played. I have it but haven't got around to playing it yet - got it in a sale I think. Looks really nice but I guess there were far too many 2D platformers coming out so I gave them a break. @shaneoh @Freek Yeah me too! Got it back then, still haven't really played it much. My Wii U backlog is still huge!